Look What's New at BobandRosemary.com! We got back yesterday from the No Excuses3 Summit and learned a ton that I’ll be teaching you. But while I was in Vegas, I had my blog designer/programmer working on a few cool additions to BobandRosemary.com — things will will help YOU learn more and make it even easier to ask me your questions. 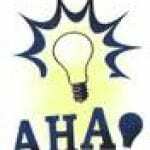 Jordan Schultz, a fellow MLSP leader told me about this cool plugin during our Monday Mastermind following the event. It makes it easier than ever to connect with your blog reader. Take a look at the bottom right of the screen. What do you see? 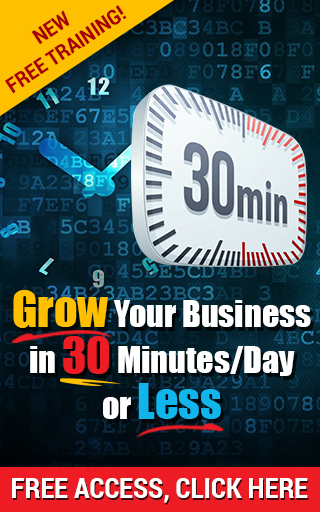 Here, you can ask me any question, advice or request 15 minutes of my time for free to strategize and plan your business. I installed this plugin yesterday and within a half hour had my first message. I’m really excited about how this will allow us to connect on a regular basis. If you want the name of the plugin, hop on over to the Chat Box and type in your request. This way, you can see it in action! 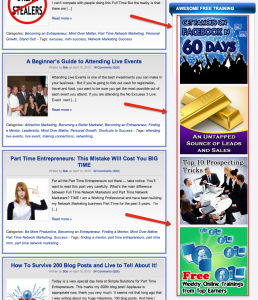 On the right sidebar, about half way down the page you’ll see a section called Awesome Free Trainings. These are informative webinars by some of the top leaders in the Industry, available to you at no cost. I’m really excited to make these trainings available to you. I’ve have no doubt that your business success will improve greatly after you watch these webinars and implement what you learn. People ask me all the time to suggest personal development books and tapes to improve their mindset. I’ve just added an Amazon widget to the bottom right sidebar of our blog that will allow you to see what we’ve read (and re-read) recently. Yes, I often read a book several times, each time getting more out of it than the last. Need something to read? Want to work on your mindset? Check out our “From Our Library” section on the right sidebar. What do you think of our new additions? Anything else you’d like to see here on BobandRosemary.com? Leave a Comment and let’s talk about it! It’s a very informative website and I am glad for the changings in bobandrosemary.com especially the addition of chat box. Chat box encourages many readers to talk to you and it helps them to learn strategies from you. Thankyou so much for sharing free training resources. I love our new Amazon Widget, Maria. It came about because people often ask me to recommend a good marketing or personal development book. Now they can see what I’ve been reading! These are all great additions that stay true to the primary focus of every successful blog- add more value. I really like the Free Training portion you added; I definitely think a similar offer would really enhance the users’ experience on my blog. Hey Dickie, yes give some of these things a try on your own blog. The more you give, the more options you have to help those who come by your blog, the longer they’ll stay and the more often they’ll return. I like that box. It really makes your reader want to connect with you. As bloggers and marketers we shouldn’t settle in the same routine for too long. Changing things and adding things really help us grow our business. Thanks, Sylviane. You’re right, it’s important to change things up once in a while. We’ll see how effective the new comment box is… and if people take to it. It’s always about experimenting and trying out new things. I do like the new look MLSP webinar banners and was also pondering the chat box, so I have tried it out !! I have Facebook chat turned off mainly because it saps time away from me, so would be interested to see how this goes for you. Hi Nicky, I also turned off FB chat for the same reason. I’ll be interested to see how the chat box works out for you, too. We’ll have to give it some time and compare notes. Wonderful additions to your blog and you are definitely adding some value here. I’ve been toying with the idea of including that chat box as well. Not really sure yet if I want to put that up since I do get plenty of emails from people asking me questions. Not sure if I actually want to be bombarded with even more by installing that but I have more thinking to do. Your blog is looking really good my friend and I do hope everyone will take you up on all this available free training. Have a wonderful weekend Bob! Thanks Adrienne… I’ll bet you get plenty of emails! You’re one of the top relationship marketers out there, Adrienne! I’ll let you know how the Chat box and other features are working out… probably in an update after I’ve given it a while. Thanks as always for your kind words and insights. Great stuff! I love the chat box. I bet that keeps you busy. Do you find more people want to chat via phone or email? I’d love to try it on my site so I’d love to hear how your experience is with it. And the Amazon widget is great, coincidentally I did that a few days ago after realizing I kept recommending all these books to people and not taking advantage of it! Good job growing and adding useful info and features to your site! So far it’s mainly been people who want a quick answer to a specific question via email, Carol Lynn. We’ll see how it goes as people become used to seeing it and perhaps getting more comfortable using the technology. I will keep you guys posted. Yes, I was happy to find the Amazon widget so I can let people know what I’ve been reading lately. I get that question alot, so this will help. Looking at your blog with all the benefits and learning tools on the right sidebar is great. It doesn’t look crowded or spammy! Thanks for sharing.. Excellent Idea Bob. I might need to connect with you on a few questions and it’s nice to a box pop up like that knowing that I can get a hold of you that easily. Thanks for telling us about it and I will in touch for sure. Love the new box. I was just about to add a light box pop up and now I’m toying with this plugin. Not sure I want to do both but we’ll see. I really like the simple offer of connection and the idea of giving what people need…and sometimes that’s as simple as answering a question. Absolutely, Ken. My feeling on pop ups are mixed… I know they work for conversions, and used the right way they can be less intrusive (or not at all). The way that most marketers use them, however ruins the experience in my opinion. To have a pop up show up as soon as you get onto a site makes absolutely no sense to me, but that’s exactly what many marketers do. Being a savvy marketer, I know that you’ll figure out just the right combination for your readers, Ken. And let me know if you decide to use the chat box plugin.. will be interested to hear your thoughts. New additions answer our hopes in quality terms. Especially since the widget gives a quick access. Personally, it is the cat who most rained me it is really the tool which was needed because sometimes a direct answer is necessary for certain questions. I am in your listening for other updatings or rajouts. Already I congratulate you and encourage for those. Thank you very much and see you soon. Loving the new additions to your blog! Nothing beats connecting with your readers on a regular basis and offering them what they’re looking for – filling needs! 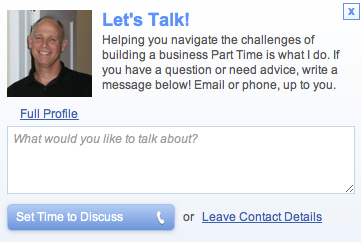 the “Let’s Talk” box is really cool, as well as the “From Our Library” widget. I would just be careful that the sidebar doesn’t look too cluttered, but that’s just me. Thanks for sharing your insights and the best of success ! Your new “let’s talk” box was the first thing I noticed when I arrived at your site, so it definitively works 🙂 I’d love to get some statistics when you’ve been using it for a week or so. It seems that everything you’re doing is part of a plan and it looks great. When people ask for something, you just have to give it to them, so adding books that improve one’s mindset is great. Thanks for letting me join the conversation. Thanks Bob for sharing a different kind of blog…Its really new and I learn a lot on it Hope you will continue to share with us..
Hi Bob, I think the changes are great! When people ask for something, you just have to give it to them, so adding books that improve one’s mindset is great. I am a fan of this, so I find this to be an important aspect of marketing. Also the Let’s chat box is a wonderful idea. Looking at your blog with all the benefits and learning tools on the right sidebar is great. It doesn’t look crowded or spammy! It is giving the people what they want. Isn’t that the purpose of why we are all here? My 5 Biggest Takeaways from No Excuses 3Becoming an Entrepreneur, Leadership, Mind Over Matter, Personal Growth, Stand Out!